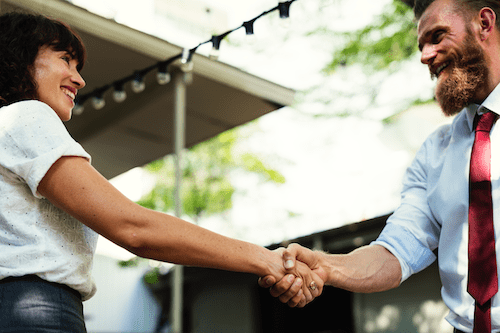 Ask any small business owner, and they will tell you: it’s much more costly to acquire a new customer than to retain and grow a current customer. However, many companies still place a huge emphasis on obtaining new customers through sales, marketing and advertising, yet pay little attention to their actual customer retention strategies. Businesses promote the sale, make the sale and then leave their customer behind, blowing in the wind. Customer retention should not only be high on your list of priorities, but it should require actual strategies in mind. Fortunately, there are ways to keep your current clients happy, satisfied and coming back for more. Here are six tips for better customer retention. 1. Follow through on your sales pitch. The quickest way to lose a customer is to make a promise in a sale, then not follow through once the client has signed on. While it might seem simple, many businesses often fall short on following through with their initial sales pitch. Instead, carefully track and record what sales persons include in their conversation, so clients never feel deceived. As you walk potential clients through your products or services, set realistic expectations for both yourself and the business. For instance, customers might become upset because they believe the business can deliver on X results immediately, when in reality those results could take months. By clearly setting expectations, clients understand exactly what they sign up for. 3. Create perks in the customer experience. Customers love feeling appreciated, so be intentional about creating perks throughout the customer experience. For instance, if a customer buys a set of business cards from a company, the organization could throw in a perk for the customer with a free card holder. Small gestures like this create a positive customer experience. 4. Establish a loyalty program. When in doubt, a customer loyalty program is always a great way to increase retention rates. These programs reward your loyal customers for shopping with you by giving them incentives to keep coming back. Once clients opt-in to the loyalty program, be sure to give them the royal treatment with special deals, discounts and free prizes. 5. Experiment with email strategies. Email marketing plays a huge role in customer retention, which is why it’s important to consistently experiment with your email strategies and see which ones clients respond to best. Discover which email strategy increases customer engagement so you can better tailor the content and product recommendations to keep customers coming back. Finally, be sure to communicate regularly with current clients. Check in to see how they enjoyed the product or service they purchased, and share with them any upcoming deals or opportunities to try new items. Utilize an effective system for tracking and reporting customer metrics, so you can be in consistent communication whenever customers need it. Businesses know it’s much more cost-effective to keep a current customer happy than to acquire a new customer. This is where customer retention strategies come in. Keep these tips in mind for retaining your top customers and see how your business grows because of it.